Our all you can eat buffet restaurant in the centre of Sheffield combines an extensive menu with the theatre of live cooking at our unique themed food stations. Watch our teppanyaki chefs prepare your choice of salmon, scallops, steak, tiger prawns or chicken on an authentic iron ‘teppan’. Add your choice of noodles and vegetables plus our fresh, handmade sushi for an exceptional Japanese dinner. Our authentic all you can eat dishes from around the world are sure to please any palate, with a choice of Thai, Chinese and Indian buffet dishes, plus a continental selection of cheese, charcuterie and olives. Italian pasta and pizza and southern fried chicken are also on offer on our buffet menu, alongside a English carvery with all the trimmings at dinner time. Satisfy your sweet tooth with our dessert menu. Choose from classic cakes and puddings, plus patisserie and profiteroles. If you prefer a lighter treat, choose gelato or fresh fruit, but be sure not to miss our Swiss chocolate fountain at dinner. There are bus stops nearby and Sheffield train station is an eight-minute-walk away. 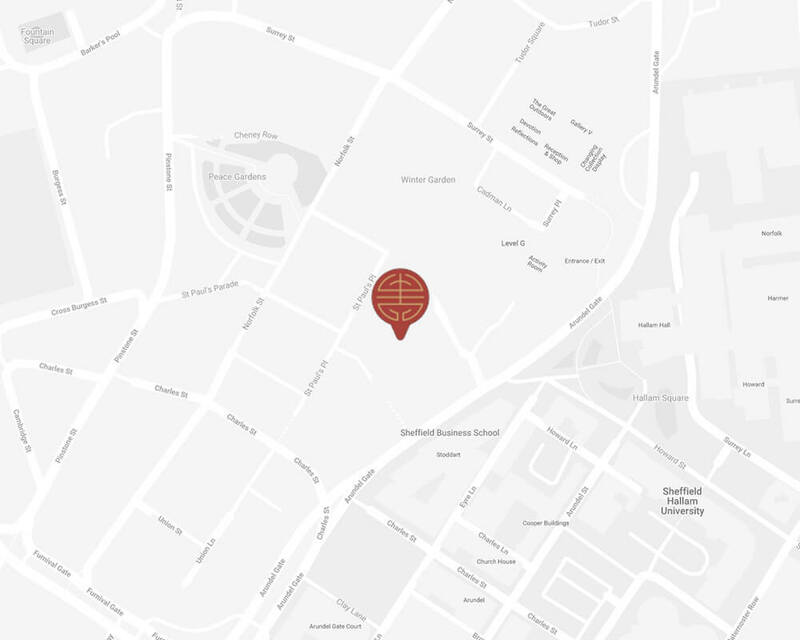 If you’re coming by car, the nearest car park is Q-Park on Charles Street, which is just two minutes from the restaurant. We’re also Q-Park’s partner, so ask for a validation ticket from our staff to get a 25% discount on parking. As the preferred parking partner for Cosmo, which is located opposite to the car park, visitors will receive a 25% discount on parking at Q-Park Charles Street when customers receive a validation ticket at Cosmo Restaurants. For car park info click here.